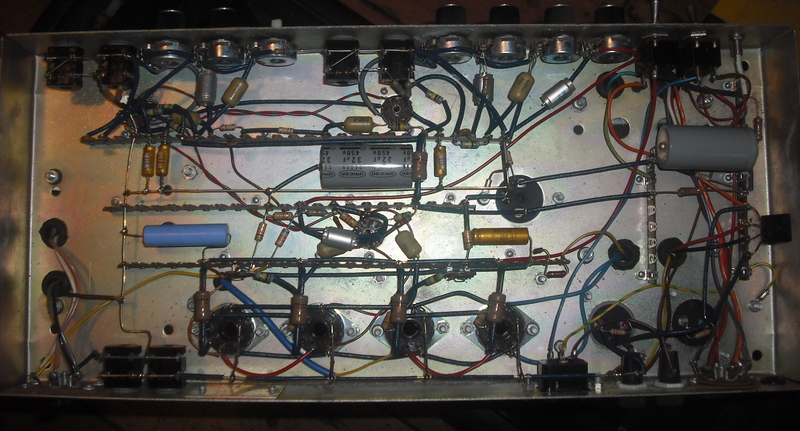 Better known as building Miles Platting amps. This is a pretty high quality amp. Massive transformers. Always a good sign. 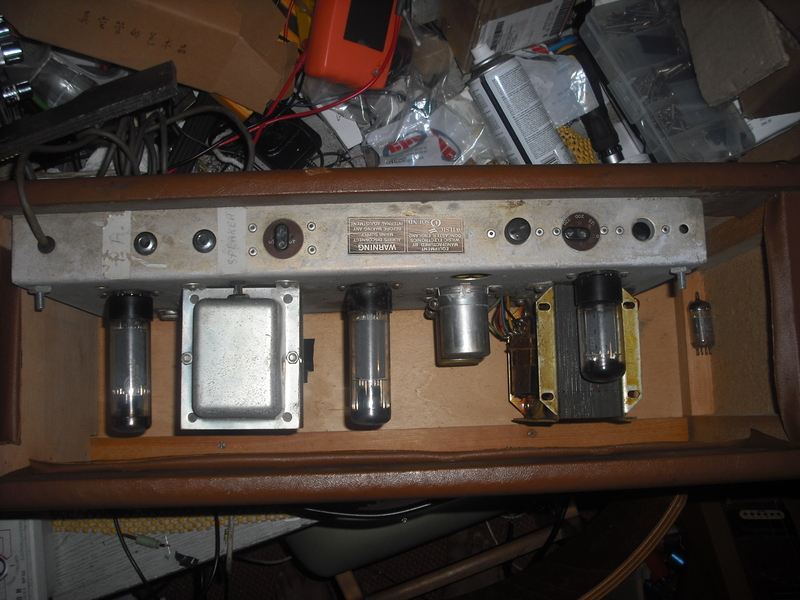 Nice guts, kinda similar style to the Aitken Audio amps. Just awaiting bolts to have this running. Should be simple, valve rectified thing. But all sorts of shenanigans going on inside. 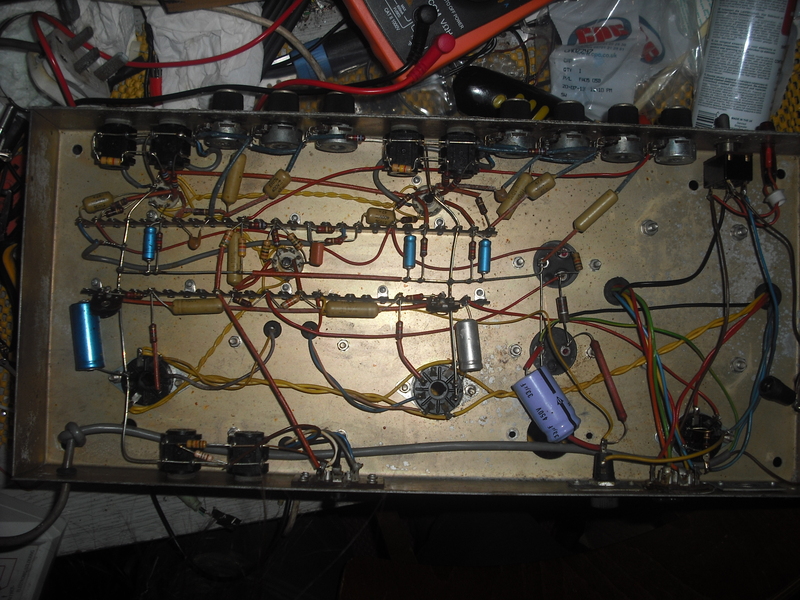 Both fuses bypassed, one diode on the rectifier in addition to the valve.